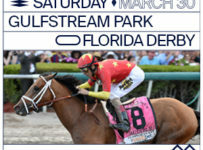 Good morning subscribers and race fans. 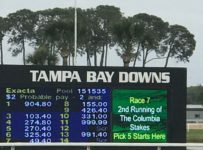 Today is Saturday Dec. 2nd, and with both Florida thoroughbred tracks racing, it marks the start of the winter racing season in the state. 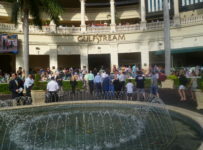 At Gulfstream Park, this is opening day for the 2017-2018 Championship Meet. 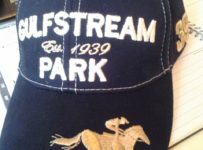 It also is Claiming Crown day at the Hallandale Beach track. 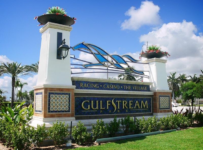 Gulfstream has an 11-race card with first post at 12:00 p.m. Nine of those races are the stakes races in the national annual Claiming Crown. 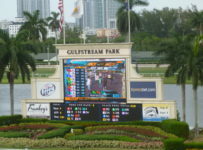 The Claiming Crown stakes all have $100,000 purses. 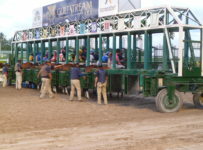 They are all restricted to horses that have raced at or below designated claiming prices at least once during their careers or at least once since Jan. 1, 2016. 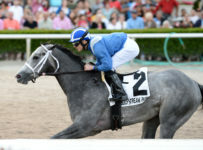 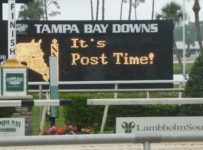 Tampa Bay Downs, in Oldsmar, Fla., hosts a nine-race Saturday with first post at 12:24 p.m.
We will have coverage during the afternoon and evening on our blog, which can be accessed on the menubar at the top of the home page of this web site. 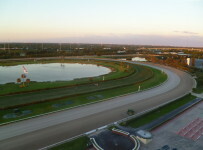 Click here HR FLA Blog for re-direction. 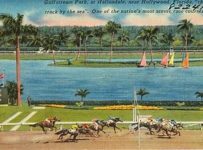 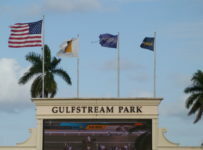 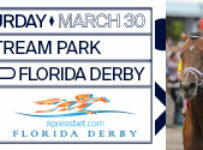 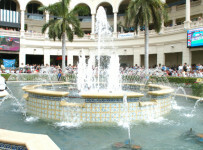 Our editor Jim Freer will be on-site at Gulfstream Park, and our associate editor Bob Bauer will be at Tampa Bay Downs. 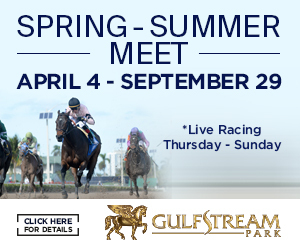 We will see you there, or on-line !